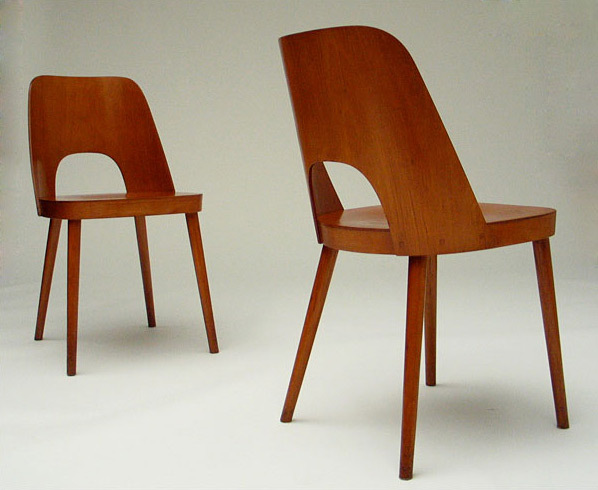 2 wooden natural varnished plywood chairs, modern mid century lines, period of manufacturing 1950. Manufactured by Thonet. 2 chaises plywood en bois naturel vernis. chaises moderne, période de fabrication 1950. Production Thonet.